You might be wondering what the Global Wellbeing Lab actually is. If so, this post is for you. The Global Wellbeing Lab brings together diverse leaders from across systems, sectors, and regions to develop and strengthen initiatives that improve wellbeing at personal, relational, and systems levels. The Lab is a learning and action platform hosted by the Boston-based Presencing Institute, Germany’s GIZ Global Leadership Academy, and the Gross National Happiness Centre, Bhutan. Our current mainstream economic paradigm is based on the mistaken assumptions that limitless growth on a finite planet is possible, and that the material consumption that drives such growth promotes sustainable happiness and wellbeing. The urgent crises facing our environmental and social systems are evidence of our need for a profoundly different paradigm. While many initiatives to improve and measure wellbeing exist around the globe, measures often go unimplemented and the knowledge generated by successful initiatives isn’t shared across the field of practitioners. 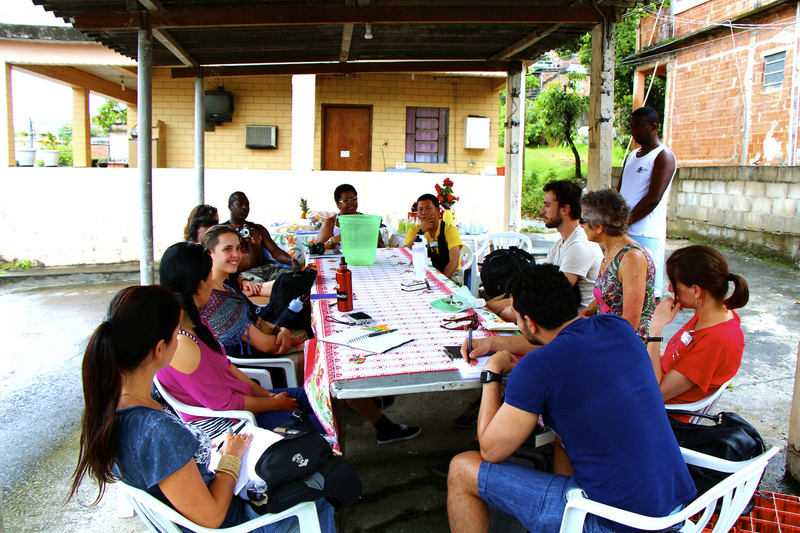 In this context, the Lab enables participants to build deep relationships with each other, take deep dive learning journeys into places of innovation around the globe, and learn by doing how to jointly create sustainable solutions to the social, environmental, and personal crises of our times. The Global Wellbeing and Gross National Happiness (GNH) Lab (Lab 1.0), began in January 2013 and continued until early 2015. The second Lab (Lab 2.0) launched in February 2015 and leverages the pilot projects, experiences, and networks developed during the first Lab. Lab 1.0 invited the participation of 24 leading innovators from eight countries around the globe, working in fields spanning progress indicators, new economic models, and systems transformation. This group embarked on learning journeys to Brazil and Bhutan in order to explore initiatives that are innovating ‘Beyond GDP’, and to gain experience applying leadership methods for advancing profound personal and institutional transformation. This Lab generated cross-sector pilot projects (or “prototypes”) that are currently unfolding in Brazil, Bhutan, India and the USA. Building on the lessons, networks and momentum generated from the Lab 1.0, Lab 2.0 convenes regional cohorts of innovators whose work aims to shift institutions beyond the pursuit of narrowly measured parameters of success (such as profit or growth for its own sake) to broader aims that translate into sustainable wellbeing for our societies and the environment. Each participant will take two learning journeys. In April 2015, small-group cohorts will visit initiatives in the emerging wellbeing paradigm in their own region. Regional nodes for Lab 2.0 include Brazil, Costa Rica, South Africa, USA, UK, Sweden, Denmark, Trinidad, Bhutan and Vietnam. In May 2015, the whole group will convene in Bhutan – the home of Gross National Happiness. Throughout the Lab, participants will gain experience applying leadership and dialogue methods for advancing profound personal and institutional transformation. 4. Prototyping Initiatives – Prototyping ideas are explored, refocused and implemented as multi-local activities. 5. Concluding Workshop – tentatively scheduled for 2016; multi-local prototypes showcased and documented; next phase plans potentially developed into fuller project proposals. Short video-introductions to some of the participants have been posted to this blog – with a few more to come soon. First person accounts, photos, and possibly video of regional learning journeys will be posted here during April and May. Similar reflections and multi-media will be posted after the Bhutan learning journey in May. Updates on prototyping initiatives will be documented here throughout the fall.